Its hybrid bearing on high-precision balls and magnets make the Magnify tonearm something special. This innovative design not only ensures interference-free and resonance optimized playback, it also noticeably simplifies set-up and adjustment. The headshell and azimuth can be easily fine-tuned and with the optional VTA-Lifter it is possible to adjust the VTA even during playback. 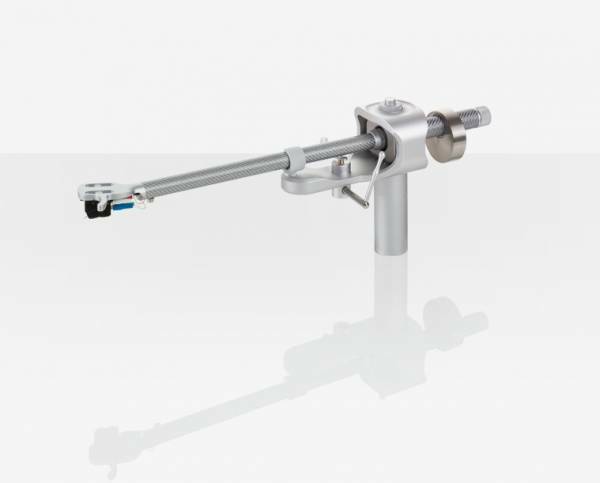 This tonearm defines the standards – not least because it is compatible with many cartridges. It is equipped with high quality Clearaudio Direct Wire in a continuous run from the cartridge connectors to the tonearm cable plugs. A tonearm that stands for ultimate sound clarity. Related links to "Clearaudio Magnify Tonearm 9"
Customer evaluation for "Clearaudio Magnify Tonearm 9"